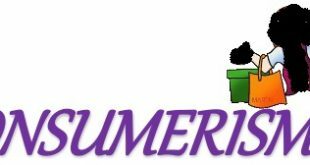 An IT Research Paper on “Common Principles and Practices Used to Successfully Manage the 21st Century Technology-Intensive Organization”. For businesses to thrive in this 21st century, the use of technology cannot be left out. Though, people are the major resources to keep the technology working, but many organizations have failed from poor management principles and practices. This failure has prompted the emergence of technology-intensive organizations. 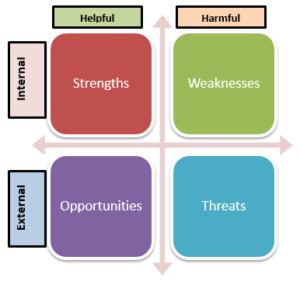 This paper covers the comparative analysis of the traditional business management principles and practices with the ones found in our present day technology-intensive organizations. This topic majorly focuses on how technology is a primary factor in the creation of wealth, how various system developed by previous researchers can be managed to develop, acquire and exploit technology and also the research, innovation and development it is primarily based on. Technology Management must be appropriately planned, developed and implemented. Issues requiring Technology Management solutions have to be identified; optional solution also have to be created for recovery sake; broken down and assessed. Major changes are going on the global market – the Internet and client innovation tool kits are progressively shifting innovation from producers to user innovation communities. Any organization that employs Technology/Technology-intensive Management implies that they are capable of innovating for themselves. Technology management is very important for any organization and this report will expressly review contents based on the common practices and principles used in today’s technology-intensive organizations. Business management is an important aspect of the economy of a nation. Business management is the application of organizing, planning, directing, staffing, and controlling functions in the best effective manner as possible to achieve useful organizational objectives. Every management is provided with different principles, whether large, small, profit or non-profit, and even one-person small business. They are all based on a standing principle which drives their realistic expectation for success. The major reason why many small businesses fail is due to the weakness of the management of the organization and their standing principles. However, the concept of business management principle is based basically on their practices and views which are in relation to the fact that manufacturers are only the innovators of new products and they are strict to protecting their development as their intellectual property. This is indeed the nature of the business world today, the practice of creative innovation and the security of that business innovation. Present day organization live on the concept of high competition and creativity, based on their principles. Every organization produces one innovation or the other, such as products or services and they definitely would prefer to use fewer employees for their daily activities and in-turn reduces the manufacturing workforce share. They however, prefer to base their productivity on modern-day tools and technology. The efficiency technology creates is conversely declining the service sector but increasing the beneficial cost or goods and services, which results in a reduced domestic expenditures on production relative to services which prices are relatively high. When the cost of goods and services are lowered, the standard of living in a nation rises tremendously improving the lives of the citizen of that nation. In the manufacture of new products, consumers are the major innovators – including physical and information products. Generally, they often reveal their innovations confidently. Consumers developed innovations are an actual feedstock for items popularized through commercialization by manufacturers. Consumer innovation is something reasonable that expands social welfare and stretches the major needs of humans to manufacturers. The innovation consumers suggest to the market place is consistently expanding as computing technologies move forward. People and (progressively) organization develops new innovation and acquaint it with the society. The management of technology has an extraordinary effect on the profitability of an organization; organizational efficiency drives national profitability; and the national profitability decides the well-being of each individual in the nation, and in addition the relative well-being of the nation with respect to all other nations. Exponential increment in knowledge quickens innovative change exponentially. A little rate difference in organizational efficiency can make businesses to fail from their competition and first-world countries to fade into second-world countries. Management of technology is used to change inputs into outputs in any kind of organizations, either for tangible or intangible services. Widespread Effect – Technology impacts are widespread, getting beyond the closest point of Technological effect. Change – Technology enforces change on an organization irrespective of their preparation or not. Self-strengthening: Technology is self-strengthening. It lives on itself. Amoral – Technology offers to community artifacts that add to welfare enhanced quality of life. Complex – Technology is a very complex set of ideas, knowledge and procedures. Creation of Value: This is a foundation which includes the addition of social and technological value to product which could either be goods or services. Responsiveness: Organizations in this form are mindful of the changes that occur in technology, business sector, competition and customer demands. Quality: They deliver the best quality at the prices worth a demand. That is, good product value, but always an adequate level of performance, dependability and reliability. Agility: These organizations consistently implement adaptable production process for current items (range of items, mass customization) and new items; and agile communication among stakeholders including suppliers, clients, organizations, investors and the public at large. Teaming: They try to structure interdisciplinary and detail oriented teams or groups within the organization both nationally and globally. This principle is based on enhanced techniques for innovative technology forecasting and incorporating within decision making process and planning. An example of this is adaptive models. Some of the limitations to this are based on metrics, such as return on investment (ROI), price/earnings ratio (PER), return on sales to streamline performance of high-technology organization. The use of new communications, globalization, and computer based technology are changing the form of human dynamics. Some authoritative undertakings require more prominent skills and others due to automation could require lesser abilities. The constant need for more information, education, new abilities and skills, and more prominent familiarity with technological change. Changes in employee relates to selection, enlisting or recruiting, training, motivation and placement. Management evaluates prerequisites before actualizing new technology. Keep side by side of new technology, disseminate information improve new items and processes. Sets of New Stakeholders, such as global proprietors and clients, environmentalists foreign governments, and environmentalists. Increasing global unions: Need more knowledge of global law, business practices and ethics, joint ventures, outsourcing, and foreign cultures. Involvement of different and worldwide parties in development, financing and shared technology. More integration of innovative technology relating to all business practices. International development of innovation and enterprise in small and medium scale business; more solidification of adult innovation firms into universal aggregates. Figure 1 shows a simple evaluation of the SWOT strategy. Several types of matrices are used to assess products and are also used to decide which of the products can be eliminated or supported. Some of these matrices include Boston Consulting Group (BCG), Grand strategy matrix, and Price quality matrix. 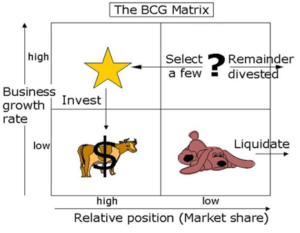 BCG matrix is a system developed by Boston Consulting Group (BCG) growth used for product evaluation or assessment of the portfolio of business brands (Ovidijus, 2013). It describes market growth and share either as low or high. It describes the cells as Stars, Dogs, Cash Cows, and Question Marks, other smart labels may be employed. Figure 2 shows the BCG matrix pictorial view. 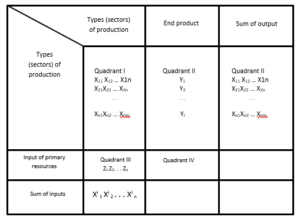 Price-quality matrix decides how to position products in a market sector, showing its relative quality and price; ranging from rip-off to an optimum value. Technology abilities get to be known and market develops quickly. Technology immerses market, and the growth is slow with respect to maturity. New innovation enters market and starts taking share from old technology. 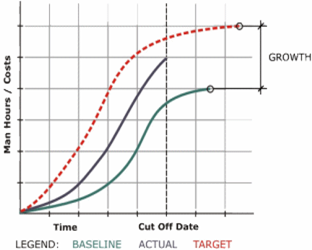 Figure 1.4 shows the S-curve for project growth. This was developed by Wassily Leontief and it is regularly used for analysis and forecasting of national economics. Another aspect where this is applicable is in technology forecasting for the measuring the effect of technological change on national economy and it is generally useful for close-term forecasting. 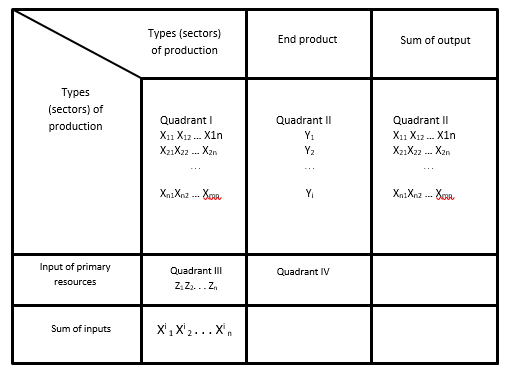 Figure 5 shows the general matrix model having input and output. System of processors, software, databases, both internal and external network, and user interfaces. Integration of real-time data, machine intelligence software, stored data, and graphic display. An expert is a person who is extremely talented or highly trained and educated in some uncommon field. They can be valuable when historical information does not exist, with this, there may be no possibility of performing trend analysis. An example of this is relating to forecasting technology specifically for quantum computing. Also, when there are changing or diverse factors invalidating historical data meant for quantum computing. For example, forecasting business sector for HDTV in underdeveloped nation. Technology management is a critical method for not just developing but also a consideration for the sustenance of the competitive advantage of an organization. A firm cannot thrive successfully without technology consideration and therefore, this must be an integral part of any organization’s business techniques. When an organization portrays a change in technology and they do not consider a change in the way it is used, they may likely lead to failure. However, technology and human resources (HR) must be working in an essential manner to guarantee ultimate success. The management of any organization must have a viable knowledge and capacity for both the people and most importantly technology. However, this study had been able to thoroughly analyze the comparison between traditional business management principles and practices and the same for the 21st century technology-intensive organizations. Angle, H.L. and Van de Ven, A.H. (1989) ‘Suggestions for managing the innovation journey’, in A.H. Van de Ven, H.L. Angle, and M.S. Poole (Eds) Research on the Management of Innovation: The Minnesota Studies, New York: Ballinger, pp.663–697. IEEE Transactions on Engineering Management, Vol. 11, No. 4, pp.124–134. Burgelman, R.A. (1983) ‘A process model of internal corporate venturing in the diversified major firm’, Administrative Science Quarterly, Vol. 28, pp.223–244. Cantwell, J. and Fai, F. (1999) ‘Firms as the source of innovation and growth: the evolution of technological competence’, Journal of Evolutionary Economics, Vol. 9, pp.331–366. Dougherty, D., Borreli, L., Munir, K. and O’Sullivan, A. (2000) ‘Systems of organizational sensemaking for sustained innovation’, Journal of Engineering and Technology Management, Vol. 17, pp.321–355. Eisenhardt, K.M. (1989) ‘Building theories from case study research’, Academy of Management Review, Vol. 14, pp.532–550.